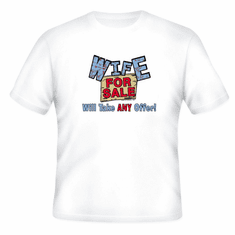 T-shirt: Wife for sale will take ANY offer! 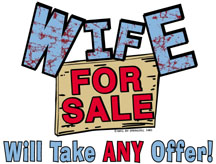 Home/Our HoneVille.com Store/NOVELTY designs/T-shirt: Wife for sale will take ANY offer! 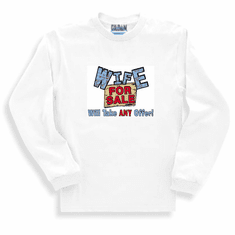 Sweatshirt or Long Sleeve T-shirt: Wife for sale will take ANY offer! Pullover Hoodie Hooded Sweatshirt: Wife for sale will take ANY offer!